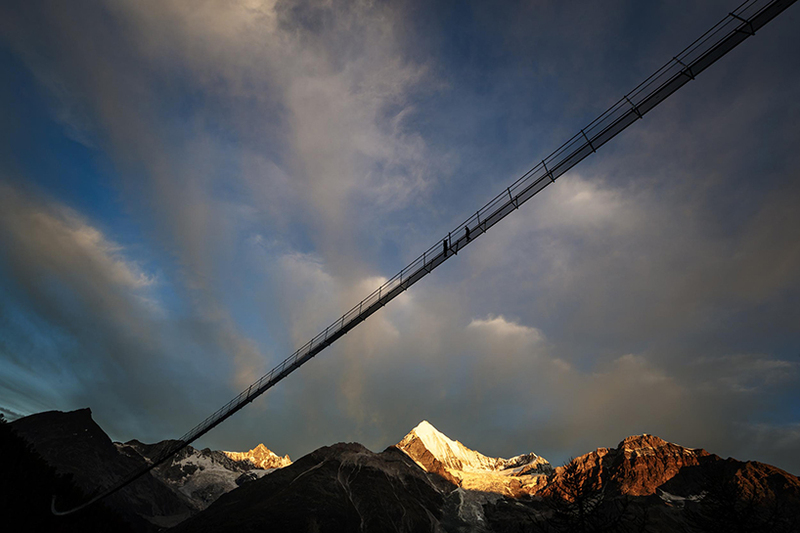 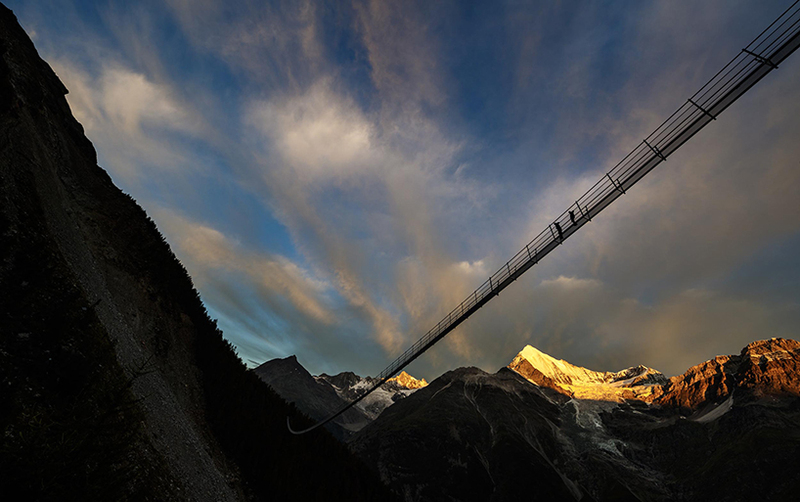 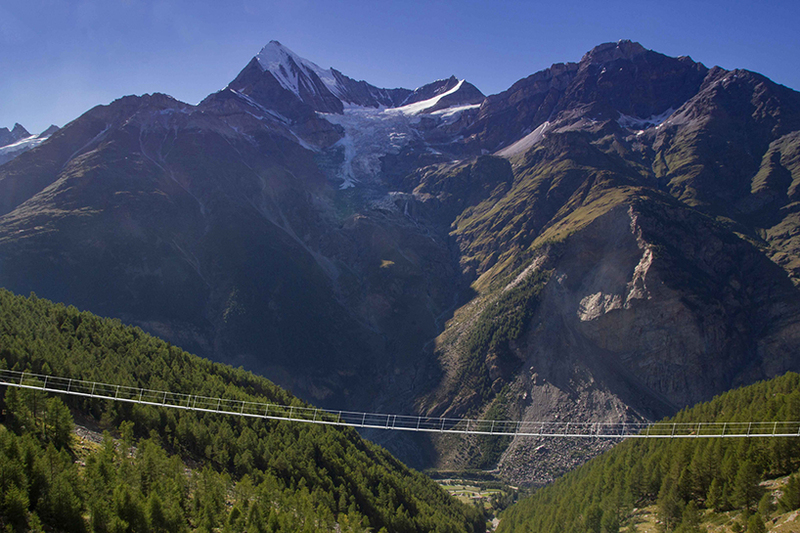 are you brave enough to walk on the world’s longest pedestrian suspension bridge? 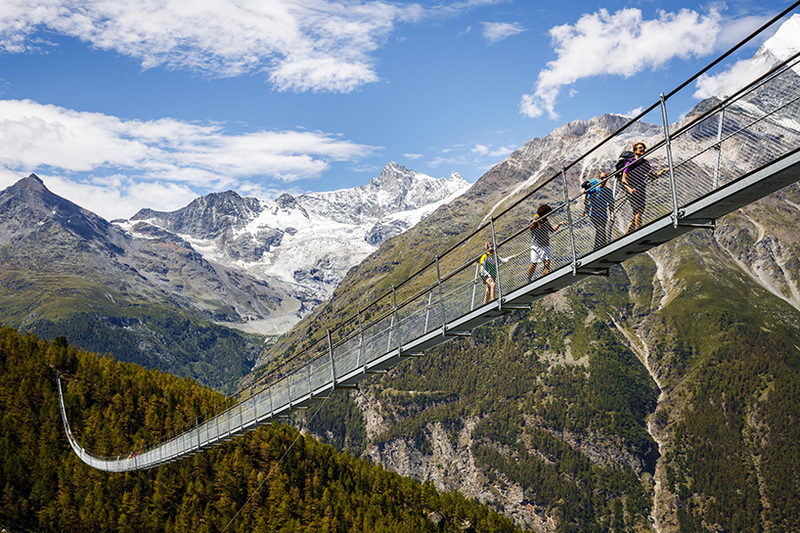 according to the zermatt — switzerland’s tourism office — the charles kuonen suspension bridge is now open for hikers, adrenaline junkies and anyone looking for breathtaking views of the swiss alps. 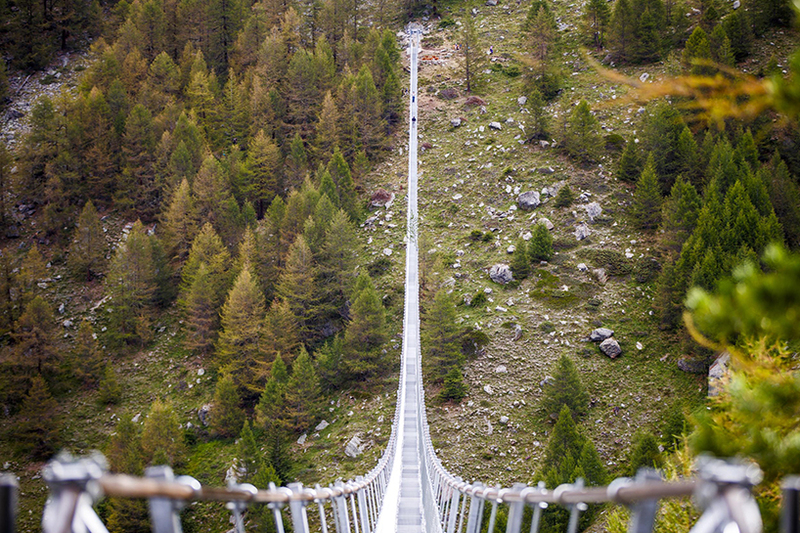 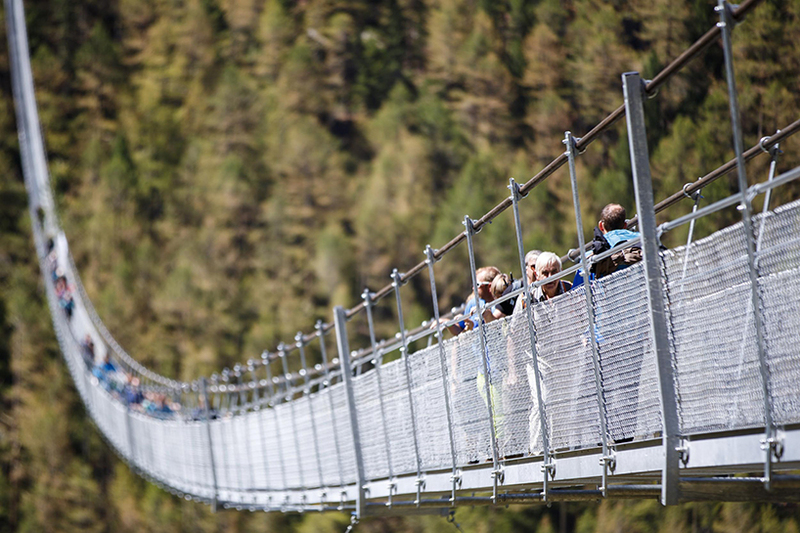 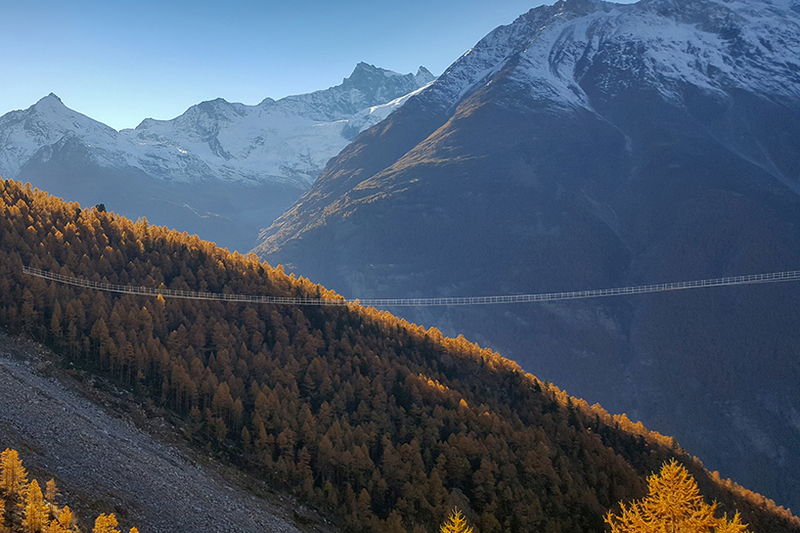 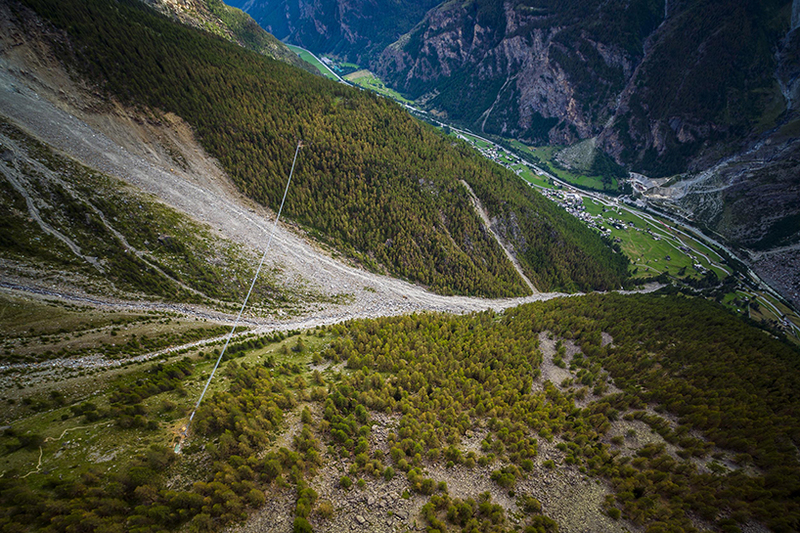 constructed in just 10 weeks by SWISSROPE, the 494-meter-long (1,621 feet) bridge is suspended at 85 meters (300 feet) above the valley floor at its highest point. 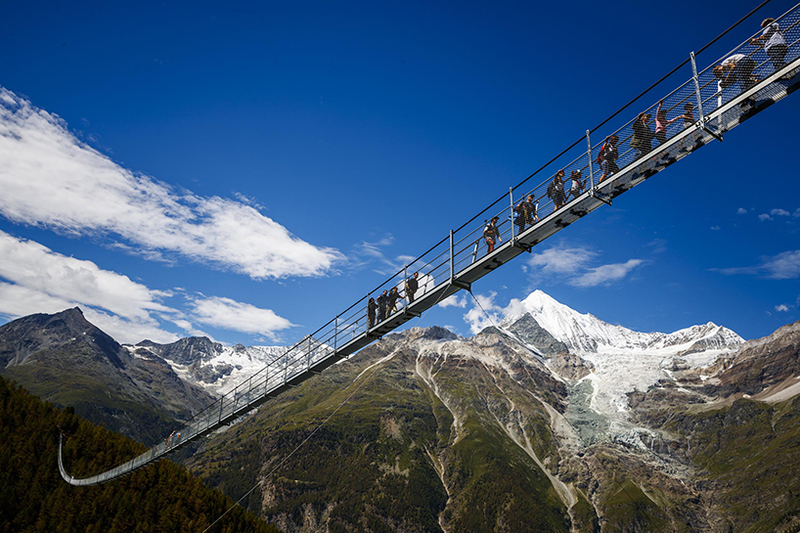 the structure links two sections of the europaweg two-day hiking trail between grächen and zermatt.